Fabulous, tasty food which was very well presented. Service by a new member of staff was excellent. Will recommend and return! Fantastic restaurant with delicious food...including some great vegan options! Superb service. Incredible food. Would come again in an instant. Thank you very much! Great evening with amazing food and drink. Can't wait to come back. My favourite place to eat in Liverpool. Perfectly delicious summer salads and small and large plates - many with origins in middle eastern cooking. Just delicious and great to share with friends. Also wonderful cocktails, friendly service and excellent value. Food and service was great - will be back again soon! Maray is truly 5 star in every aspect. The online booking service is particularly useful. The menu is excellent - interesting, wholesome and perfectly balanced. Each time we have visited the atmosphere is good whether lunchtime or evening and the service is exceptional (without exaggeration). 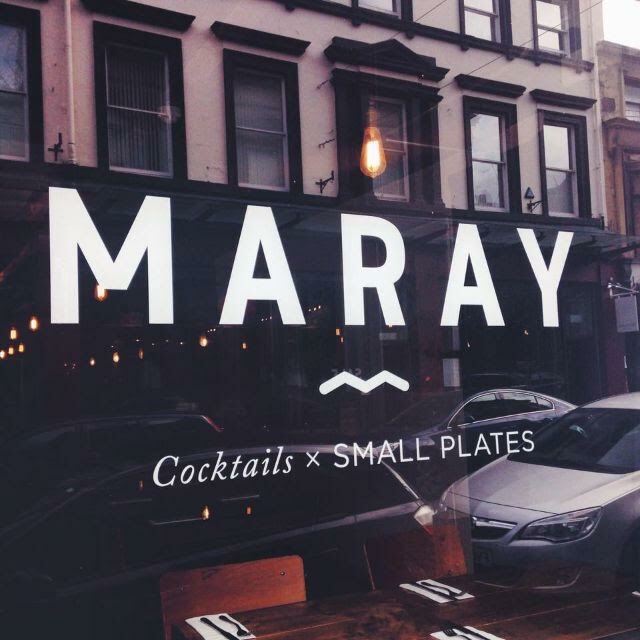 I have recommended Maray to family and friends and given the breadth of the menu it is great to be able to try something different on each visit. The food was downright superb, the best I've eaten out in my home city of Liverpool. Very relaxed atmosphere, more like a London restaurant insofar as the food does the talking rather than attempts to create a vibe of opulence or exclusivity. Damn hard to get a table by walking in on almost any evening after eight, but that's gladdening... it's great that so many people have cottoned onto this place in just one year. One gripe is that it sometimes feels a little cramped, but there's such a buzz you never feel like you're sharing your conversation with the next table. A fantastic place, with not a single disappointing dish served. Fabulous food!!... good atmosphere.. just disappointed cant use independant card at weekends! Lovely lovely food. Very reasonably priced! Just boss. Service was also perfect! Amazing food, fab cocktail, great ambience & service. Would highly recommend. The staff were very attentive and provided some really good recommendations for food, asked for something that wasn't detailed on the menu and this request was met with no hesitation. The food was fantastic and definitely left a satisfying taste in your mouth, there where five of us dining and between us think we tried most of the dishes. I live in London, and will definitely be visiting again the next time I'm in Liverpool. I have been several times and the food is always amazing, we do however miss the spicy coleslaw that was on the menu on our first visit. The best place to eat in Liverpool by far. Amazing and authentic food, and the dishes extend the authenticity in spirit bringing flavours to seasonal produce. Especially loved the cauliflower and jerusalem artichokes! Every time I have visited, the food has been exceptional. I have, and will continue to recommend Maray to my friends. Lovely friendly staff, very attentive & helpful. Great food and atmosphere. One of my favourite spots in Liverpool. Brilliant night out. Food was incredible, great staff and loved the cocktails. Beautiful food and great service. I've been twice in one week! Food and service both excellent, but as the place is quite small it can feel oppressive and loud. But probably most people who come here like that!